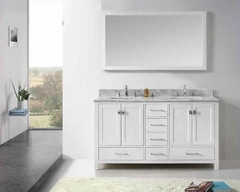 The Bella Cera collection by Michael Amini reflects Early North American style, which was modeled after European styles adapted to emphasize both the form of the furniture and the beauty of the wood itself. The furniture in this collection embraces and displays the unique look of wood grain, featuring beautiful wood inlays and wood trim. The larger pieces are adorned with sweeping toe kicks, while longer furniture legs are carved in a delicate spindle pattern. Masterfully carved graceful curves give the larger pieces in the collection a pleasing appearance. The Capri finish completes the look with a stain that darkens the wood grain and creates a beautiful marbled design and smooth finish. 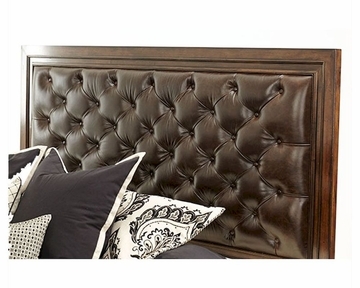 See Bella Cera Collection Bed with Fabric Tufted Headboard .